MBALE. The Government pays over Shs16 billion in monthly salaries to teachers who hardly show up in class a new review shows. Data obtained by Prime Minister’s Delivery Unit (PMDU) indicates that much as there has been a tremendous improvement of teachers’ presence at school in the past years monthly at least 20 850 teachers (15 percent) earn salary without stepping in class. 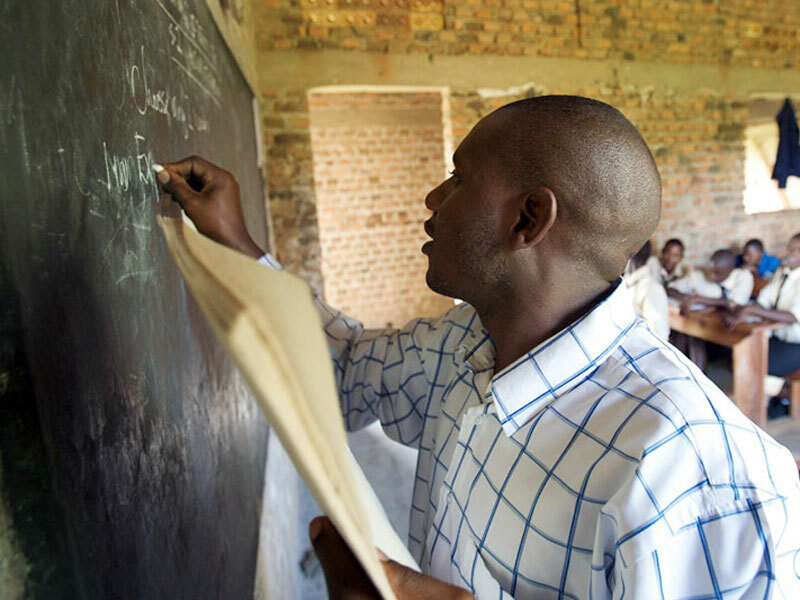 There are 139,000 teachers on Government payroll who, on average, earn at least Shs380,000 per month. PMDU review on teacher attendance books at all Government-aided schools in the country from October 2016 to May this year indicates that attendance has risen from 60 percent in 2016 to 85 percent. However, the 15 percent of teachers who do not turn up in class means that Government still wades Shs16,684,000,000 in their monthly salaries. 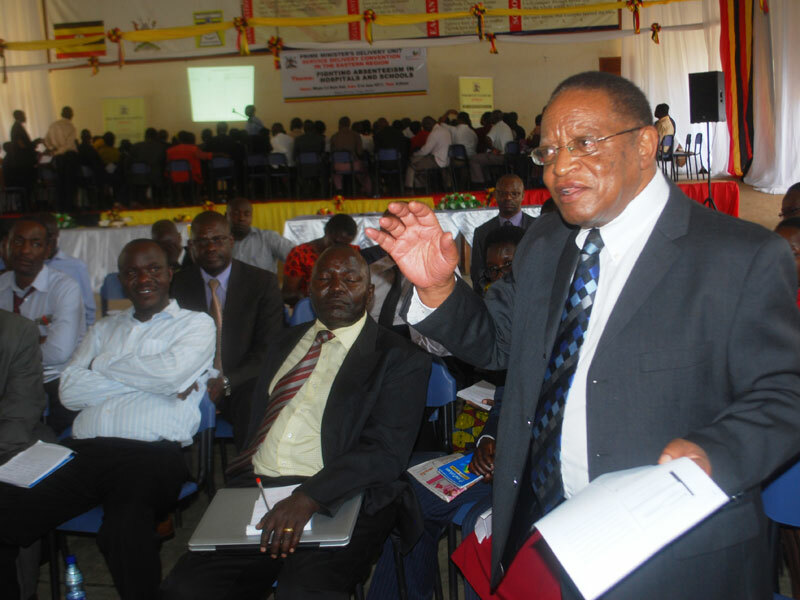 Dr Suruma addresses participants at the meeting in Mbale on Thursday. David Oduut. Addressing district leaders from the 20 districts that performed worst in Eastern Uganda in 2016 Primary Leaving Examinations during the regional stakeholders’ engagement focusing on teachers and health workers’ absenteeism, Dr Ezra Suruma, the head PMDU, revealed that instead of being in class, the teachers engage in riding boda boda or other private businesses with an excuse of poor pay. 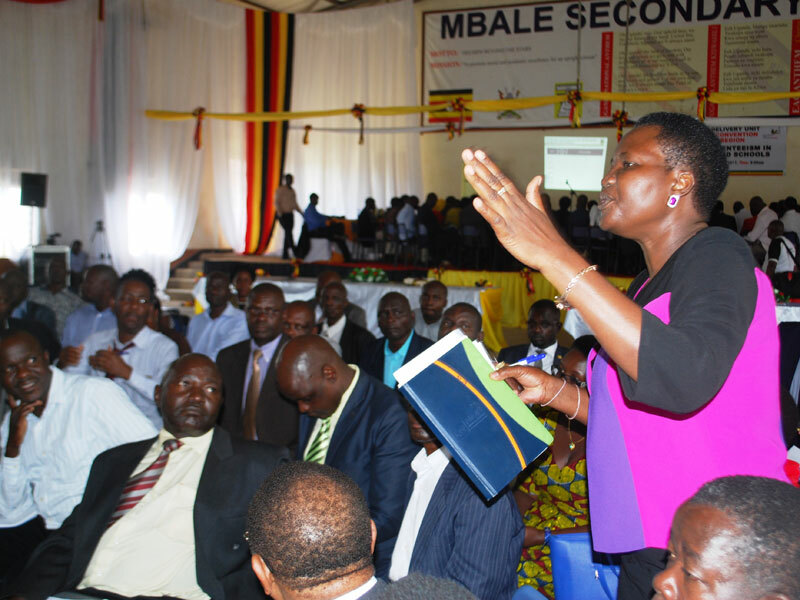 “Government pays these teachers and if they think the money is small, let them resign and focus on what they think can be more profitable other than cheating government for a service not provided,” Suruma said during the meeting at Mbale Secondary School yesterday. The former finance minister said that much as Government has committed resources to hire more teachers as well as improve their salaries and housing amenity, there is still a significant gap in numeracy and literacy at lower levels, especially among rural schools. He said this is as a result of teachers who dodge classes or general lack of commitment to deliver good results. A participant at the meeting on Thursday. David Oduut. The former finance minister noted that Government is considering introducing performance based payment to help check on absenteeism among teachers as well as help government address the issue of paying lazy workers. “Government is apparently working on perfecting a data collection and management system especially on work attendance such that those who will absentee will suffer the consequence,” Suruma said, emphasising that absenteeism among teachers is a major course of poor performance at lower levels especially in rural areas. John Agaba, a commissioner at the Ministry of Education, said as Government increases focus on addressing absenteeism, there is a need to fix the problem of limited housing for teachers. “Some of these teachers have to travel long distances of up to 20 kilometres to get to school, whether they report to school every day and do quality work is now the question,” Agaba said. Adoa Kennedy Otiti, the Kween District Resident District Commissioner, said lack of constant supervision from the ministries is also contributing to laxity among teachers and other workers. “In most cases, the ministry officials hold selective supervision where some districts are not supervised at all, this makes workers lax as there is no one to keep them on check,” Adoa said. He said since his appointment as RDC for Kween, he has not seen any top Government or Education ministry official at the district on supervision role. Dickson Bwire, Buyende acting district education officer, said they have designed a model plan where teachers have been mandated to commit in writing to attend school fully or be punished. Bwire said the monthly attendance pledge forms are marked every day as the teacher attends school and later approved by a head teacher at the end of month. The forms are then delivered to the office of the chief administrative officer, who forwards them to the Ministry of Education before finally ending up in the Office of the Prime Minister. 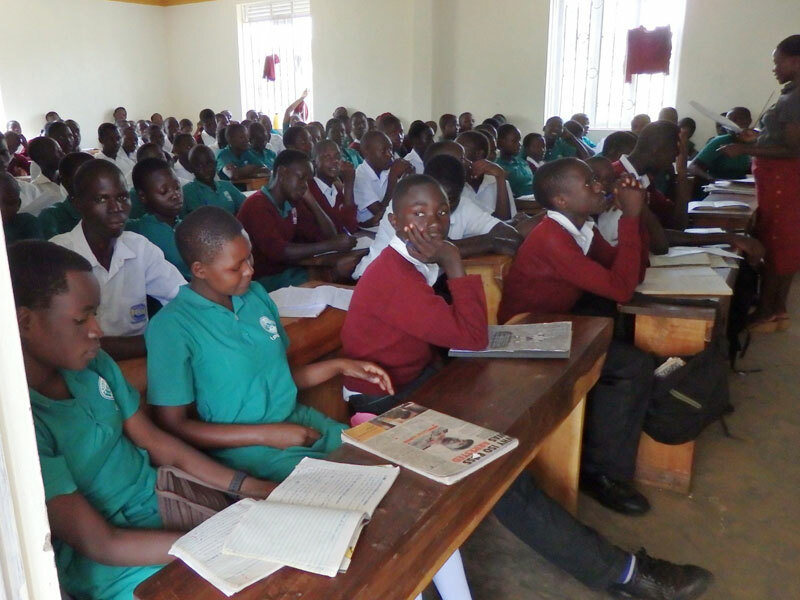 “These forms have been very effective as we had teacher attendance at 49 percent in October 2016 but we had hit 90 percent teacher attendance by May this year,” Bwire said, noting that Buyende has phased out using attendance or arrival books as some teachers would sign in advance and keep out of school for days. He said a rewards and sanctions committee has also been put in place and has already seen 35 teachers summoned to answer at the office of the CAO for missing classes without permission. Bwire said office of CAO, sub county chiefs, inspectors of schools as well as Parents and Teachers’ Association chairpersons and School Management Committee chairpersons are very instrumental in following up the implementation of this model plan. During the regional stakeholders’ engagement focusing on teacher and health workers’ absenteeism in the 20 focus districts in Eastern Uganda, the district leaders set a target of 100 percent teacher presence in schools by December—except for those away with permission. CAOs were also ordered to issue circulars to all education stakeholders in the district to ensure teacher presence at schools. The LC5 chairpersons at the districts of Mbale, Kween, Kayunga, Sironko, Soroti, Tororo, Namutumba, Bukwo, Bulambuli, Pallisa, also Buvuma, Bugiri, Kaliro, Manafwa, Mayuge, Luuka, Kapchorwa, Buyende and Bududa also pledged to “put aside guarding their votes” and join hands in monitoring teachers’ school attendance for the interest of improving academic performance at their schools.